I haven't missed a Magic: The Gathering Core Set since 2014. That's 3 years of collecting these priceless, beautiful cards that I never actually play against anyone. They are more collectors sets and trophies than for battle. 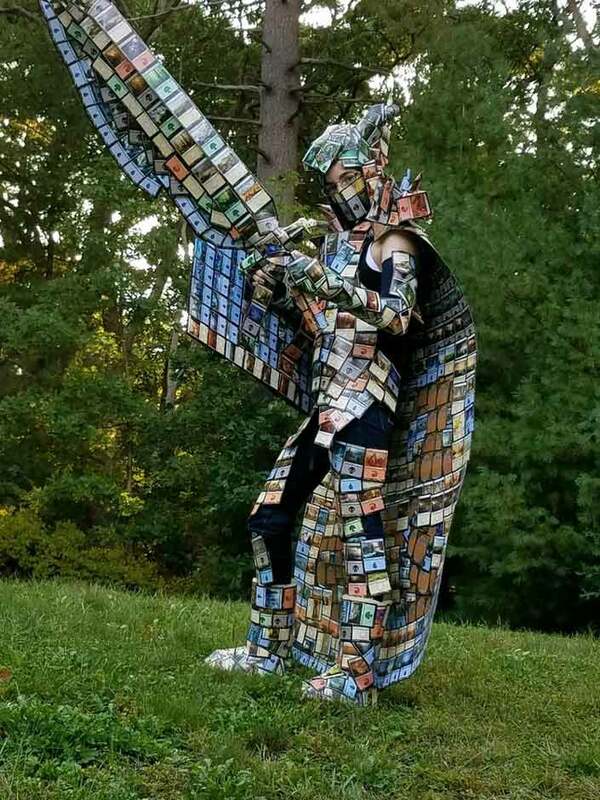 Which is why I was so astonished when I discovered that Reddit user TechnicolorTraveler made an entire suit with M:TG cards. Here you can see as she shows off his armor on a Reddit thread. When asked how many cards she used, she actually stated that she had no idea. 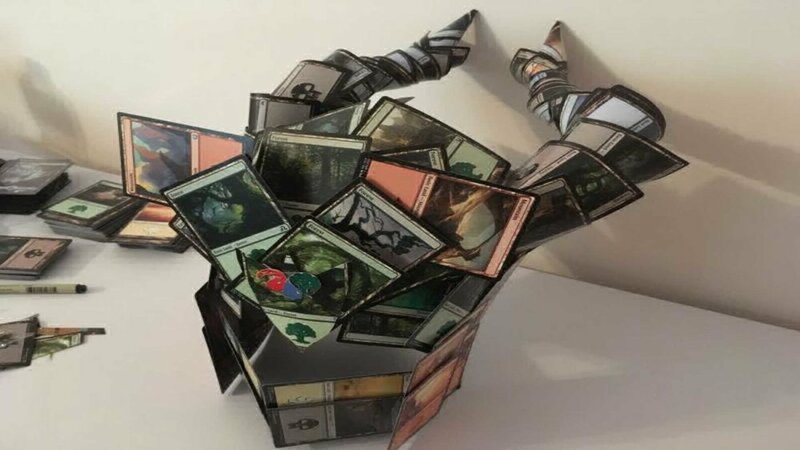 Now, I've tried building a pyramid with normal cards, but I would never do this to my M:TG sets. However, this is rather impressive and I must say that I am in awe at the amount of time and effort she put in. TechnicolorTraveler mentions that she wants to go to the Ixalan prerelease in the suit, so I hope to see more pics of it shown off. What's your feel on this? Do you have any card art you would like to share with us? Let us know.